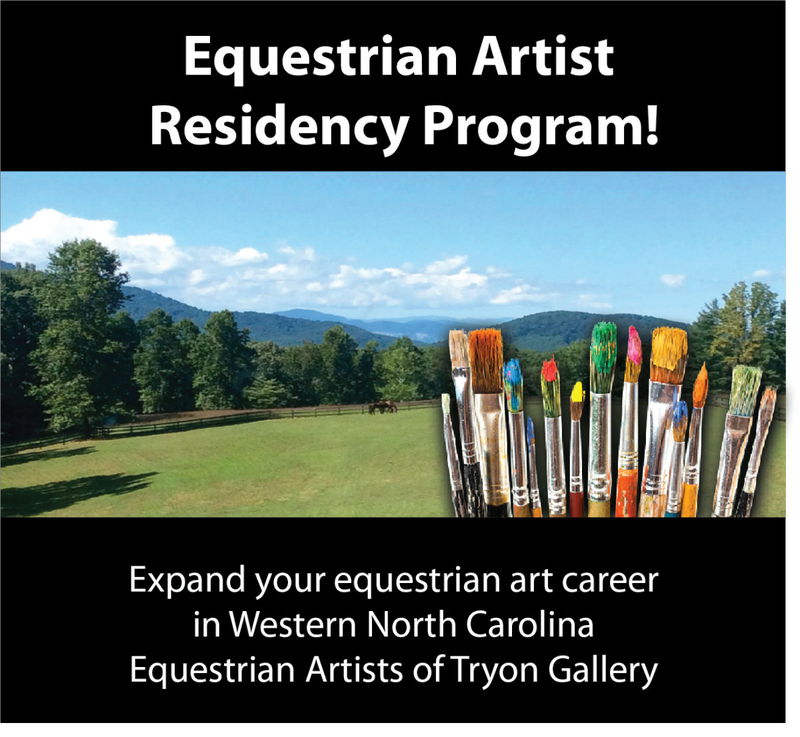 The Artist in residency program is hosted and managed by Equestrian Artists of Tryon. Gallery and studio spaces are located at the Tryon International Equestrian Center in Mill Spring, NC. Program offers the equestrian inspired artists the opportunity to explore new techniques, collect reference materials for future work or expand a current body of work. Residency includes studio space of 14’ x 22’ with private entry, professional easel, multiple work areas, onsite giclee printer and multiple outdoor creation spaces. Each residency is 1 month long from April - November 2019. Selected artists will be provided a private studio space on the main concourse of the venue. Guest Artist will be offered the opportunity to have work featured in the onsite gallery during their residency. Artist should have a clear plan as to their goals during the individual residency and each recipient of the residency program is required to produce 1 piece of work to be donated for a silent auction in December 2019. Artist will have access to a well-appointed 1 bedroom apartment on a local 20-acre horse farm. Artist may bring 1 horse if interested. Stall and appropriate pasture is available. Abundant opportunities to ride in the area are a bonus! Housing fee $1000. Artist is responsible to pay for all travel, supplies and food/beverage. Studio and gallery space provide at no charge. Residency program will include social media and marketing program during artist’s stay. This is a great way to introduce your work to the equestrian art market!